Once know as the Silk Stocking District the Upper East Side is one of the most affluent neighborhoods in Manhattan NYC. 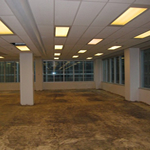 Our company can help you find commercial space anywhere north of 59th street! Regardless of the option you choose; we work constantly to translate your requirements and personal taste into the ideal business space on the Upper East Side! These newly renovated Offices stand inside a pre-built sublet that’s perfect for the personal/professional startup, former-firm professional and/or someone simply looking to work “at home” without actually working from home. 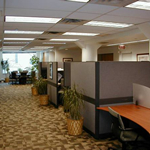 The property in which the office is located features an attended lobby, with strong security and 24-hour access. 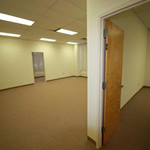 This commercial sublet can fit the needs of anyone who must have various cubicle sizes/configurations, in addition to a director’s station (bullpen). Furthermore, the primary tenant will grant you and your staff access to more than six conference rooms as well as state-of-the-art phone and video conferencing; of course, this all includes high-speed internet and handy IT support. For your added benefit, enjoy a well-appointed pantry (with some space) in which you may stock coffee and snacks – or walk down on an avenue and enjoy some of the best delis in the city as an added bonus to the area! Prime Upper East Side Medical Office with everything the medical, dental or healthcare professional could want/expect. Located on the first floor of an upscale (ADA compliant with a wheelchair lift), pre-war co-op, this space features a dedicated entrance, four private exam rooms, two private offices, a reception area, lab, two restrooms and a kitchenette. A stone’s throw from Lenox Hill Hospital and a quick walk from the renowned Weill-Cornell Medical Center, old clients can access premier hospital services while new clients are in proximity to good after-care in a convenient location. The landlord is very accommodating and can position a dental chair (furniture available upon request herein) in the right direction or provide some exam tables - all to your specifications! Existing high-end, second-floor gallery space above two trendy boutiques is a made-to-order sublet for a painting, sculpture or haute-couture gallery a few city blocks away from two landmark art museums – the MET and the Whitney – as well as Bloomingdales, Barney’s and Saks Fifth Ave. With high-ceilings, three floor-to-ceiling windows and a distinguishable awning, this space has the wall breadth for a Damien Loeb exhibit or the aperture for an Alexander McQueen display. Though it stands on its own, this commercial space helps align a street of some of most up-scale shopping (and wine and cheese stores) in New York! Concierges of the classic hotels, including The Carlyle, The Benjamin and the Carlton, will surely point visitors to this vicinity. 60th Street Commercial Space for Lease 3,035 SF. / $55 SF. SOHO Feel in a UES High-Rise to Lease – Priced to move – this commercial space offers one of the city’s best addresses with a downtown tech (or other) start-up feel. The 6th-floor space is located by 60th Street between Madison and 5th Avenues has an open configuration, hardwood floors and excellent wall space for paintings or prints. Furthermore, it is complimented by a conference room and reception. Serviced by its own pair of private restrooms and also supplemented by a wet pantry, the space is also illuminated with natural light from three street-side windows. Third Avenue bistros and bars make entertaining guests and investors and Silicon-Alley snap! Ready for a reputable (but not yet household name) real estate, accounting, law or other firm, this 3,500-square foot, 3rd-Floor office in a Class B building on 86th Street was renovated in 2012 and prepped for a 10-year lease. The great – and surprising part – of this historical building, however, is its futuristic Green systems and amenities that leave a delicate ecological footprint on the city. Much like the touted Hearst building down- and across-town, the management of this skyscraper has installed light sensors, used recycled materials for the office drywall and put in new energy-efficient windows. 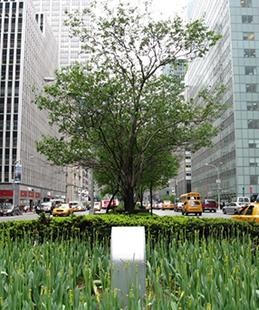 Best of all, this area of Manhattan is in the heart of a world-famous commercial zone neighboring global corporate headquarters and leading financial service firms. Upper East Side Commercial Space for Lease 3,525 SF. / $?? SF. Upper East Side Commercial Space –This landlord is looking for a blue-ribbon financial company to take over this office steps from essential professional services. Surrounded by flat-screen TVs, advanced CISCO video conferencing cubicles and high-speed Internet – all with 24/7 IT service – this large space is priced to move in a pacing-up economy. No-hassle terms make for a smooth transition to Manhattan from another country or Uptown for a change of scenery. The famed Parlor Steakhouse. as well as a number of boutique hotels and corporate apartments. grant tired international guests a grand New York welcome! East 54th Street Commercial Space for Lease 4,100 SF. / $?? SF. 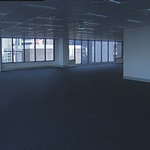 The following high-rise property is now offering new unconfigured space at a reduced rate. 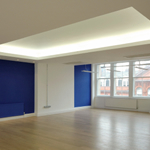 The 4,000 square-foot space can be configured for any number of commercial uses which require a professional business environment bound in an expansive space. 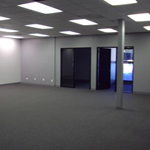 At the moment this office is in raw condition; the landlord is willing to build-out for the right tenant looking to lease the space for 5+ years. Individual tenant floors are 12 feet from slab to ceiling; a new state-of-the-art building management system controls HVAC delivery. Additionally the building property enjoys an LEED-EB Gold Rating for its $5 million retrofit program (lobby, elevators, outdoor plaza) which have included green practices throughout. East 94th Street - Commercial Space for Lease 4,450+ SF. / $65 SF. Corporate Sublet in an B-List Office Building –This 4,450-foot sublet stands within a 3rd-Ave. corporate complex which is offering the opportunity at leasing a newly constructed space in the UES. 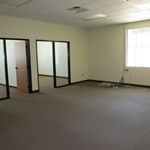 This half-floor features window offices surrounding internal cubicles for assistants or mid-level managers. A pantry on each side of the office holds a refrigerator, a set of cabinets and counter space for a coffee-machine – restrooms are on each side. Priced to move, upscale corporate awaits at downtown rates! Existing portion has 15' ceilings, slab to slab throughout. Over-sized passenger and freight elevator access on each floor. An exceptional building space for equipment and/or heavy machinery that requires overhead clearance. Neigborhood Details Noteworthy Properties: 45 East 66th, . Corporations Headquarters in the Area: Midtown . Hotels in the Area: Plaza Hotel (technically in Midtown), The Carlyle Hotel, The Pierre, Bentley Hotel.